Good Morning! I hope your weekend has been wonderful so far! I found it completely inspiring! I have been looking for something fun and different to work on, and I can see so many applications for these stitch patterns. The only problem (not a problem!) with the book is that all of the patterns are charted. I can read crochet charts, but I'm not an expert at it by any means. But I know of someone who is!!! Are you guys familliar with Dana at CraftyMinx? She's got the absolute BEST crochet tutorial set that she calls "Crochet School". It's flipping amazing and pretty much takes you from complete beginner to Crochet Rockstar in 23 awesome lessons! So, using my awesome new stitch charts (that you can read now too!) 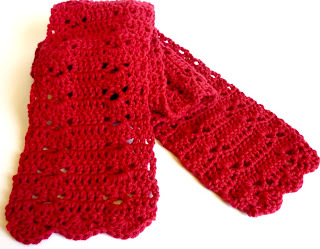 I made you a scarf! Isn't it Autumnal-ly fabulous?! I named it in honor of the stitch chart number that I used to make it! Approx 5 1/2" x 56"
Repeat R3-4 as many times as you need to get the length that you want. I used 42 repeats, which took me almost to the end of my skein. When you're ready to finish the scarf, end on a R4 row. 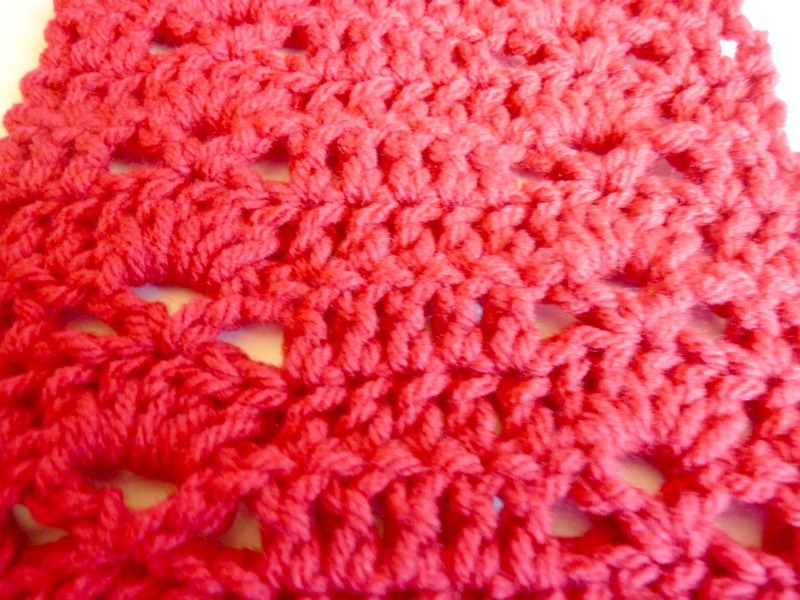 Attach yarn to the edge of starting edge and repeat Scalloped Edge on the other end of the scarf. 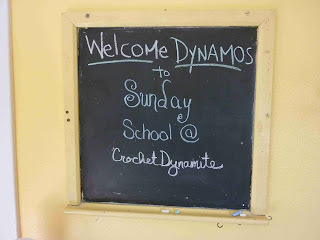 Hi Dynamos! I've put out an ebook of 6 of my fanciest-schmanciest (wearable) patterns from this site! It's in the Kindle store right now! 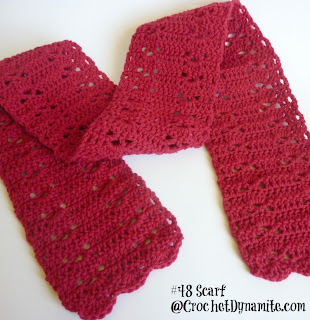 It's called Crochet Dynamite: Fancy-Schmancy. If you have an e-reader, iPad, Smart Phone or other tech-y awesomeness (including Kindle on your laptop/PC) please click HERE to go and check it out. My sons have been watching this video and dragged me into it! You're right -- it gets stuck in your head. 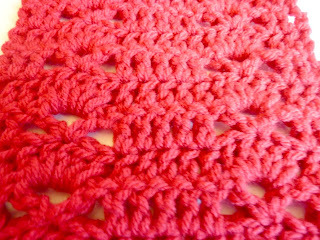 Thank you for the link I probably have a number of these crochet stitches in my books but you see them differently when on the screen? Suddenly they look much more attractive if you see what I mean. Hi Line! I agree completely! I think that's exactly what happened to me! Thanks, I thought the scarf turned out really cool! Dangit, I was going to have it put right above my tattooed Eisenhower autograph. Are you sure you won't reconsider? I think you should do a bunch more e-books! (Please note I've never done one so it's easy for me to say.) When I went on Amazon to buy your first one (note the word "first") it asked me if I wanted to buy it for me or as a gift. A gift! I can give it as a gift! Now that even 98-yr-old ladies know about Kindle books it's a wonderful idea! Aww! How sweet are you?! Thank you for buying my book. I am sending you many many e-hugs!